UPDATE: 9/11/13 – Jermayn has been located in Mexico, too. 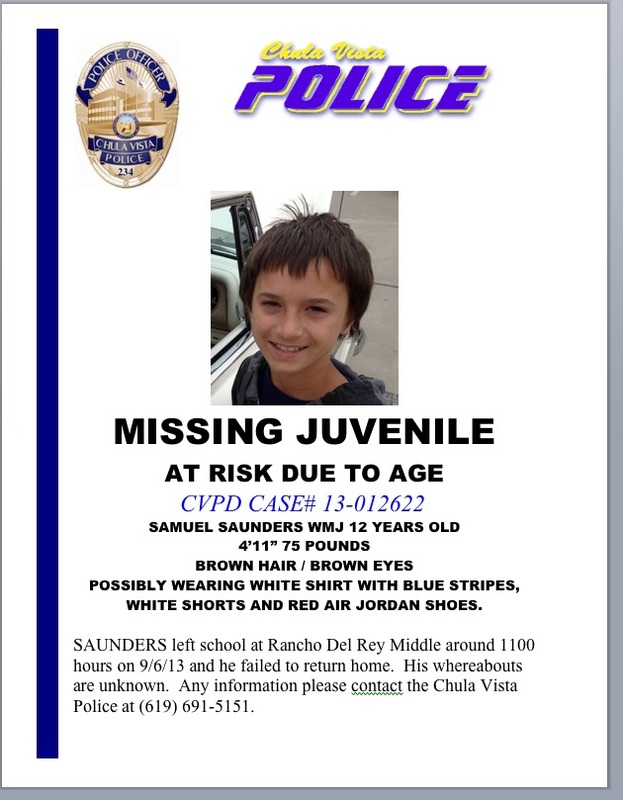 UPDATE 9/10/13 – Per his family, Samuel was located in Mexico and is now home. Jermayn is still missing and may be in Mexico. Both boys had gotten trouble in school and headed to family they had in Mexico and were located there. The boys experienced difficulty at school (Rancho Del Rey Middle School) on Friday 9/6, and both failed to return home that night. They are believed to be together and not at risk, except for their age. They may be staying with friends who are not awar e of their reported “Runaway” status. 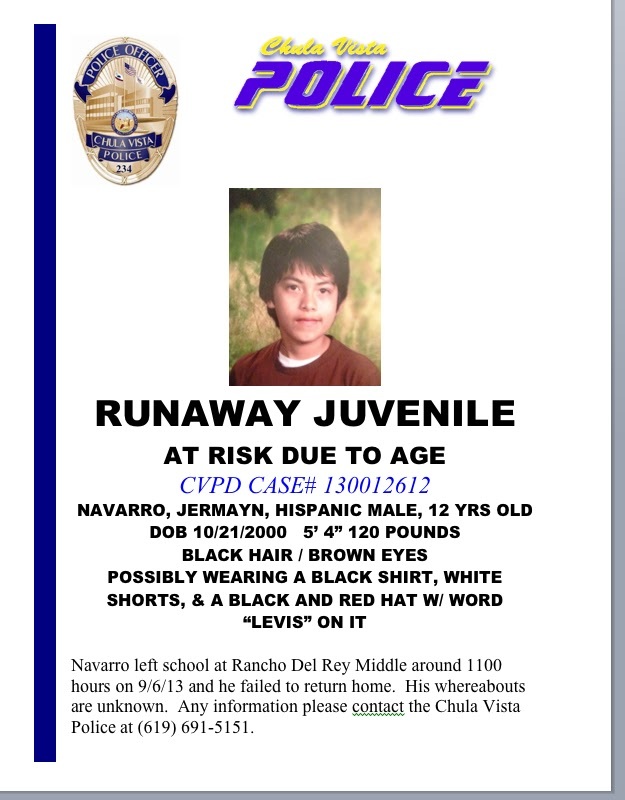 Any information may be reported to the CVPD dispatch Center at 619-691-5151. Looks like Samuel has been found and they have a good idea that Jermayn is with family in Mexico…. How did they get to Mexico? Can 12 year old children just walk across the border?